The offensive in Aleppo shows little sign of slowing down. Hundreds of people have died in the past week alone and hundreds more are in need of medical assistance. We don't have enough vehicles [...] we don't have enough fire engines. Volunteer groups such as the White Helmet Syrian Civil Defence force are working under deteriorating conditions to help the more than 270,000 people trapped in eastern Aleppo. “The Russian air campaign is ongoing. Every day there are dozens of air strikes on the whole of Aleppo,” said White Helmet volunteer Ismail Abdallah. But fewer than 30 doctors remain in the rebel-held east and only six, partially-operational hospitals are in service, the World Health Organization warns. Stop attacks on health care. Let the sick and wounded out. The WHO says humanitarian organisations have not been allowed to enter Aleppo to deliver aid, including medical supplies, since the city was besieged on July 7. It is calling for the immediate and safe evacuation of the sick and wounded. 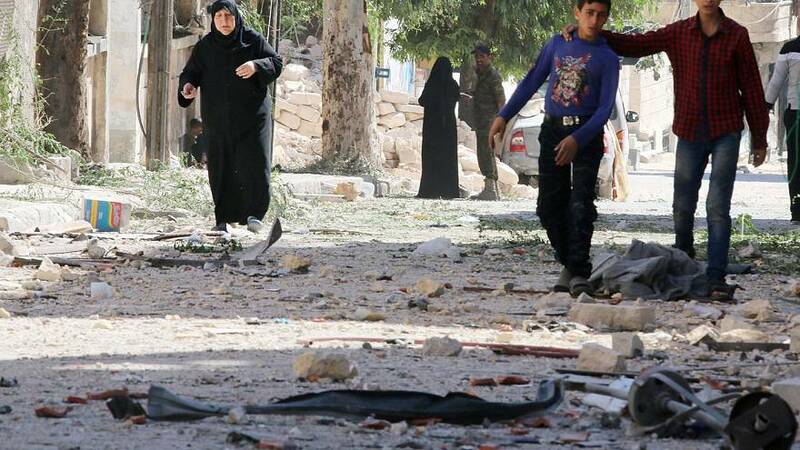 “There have been 338 deaths in the last couple of weeks due to the bombardment, including 106 children. 846 other individuals have been injured. Again, almost a third children, 261 children…” said Rick Brennan, WHO Director of Emergency Risk Assessment and Humanitarian Response. The WHO says relentless attacks on health workers and hospitals in Syria have left “the handful of doctors still alive” unable to cope. While the International Committee of the Red Cross reports blankets are in such short supply that body bags are being used for warmth instead.